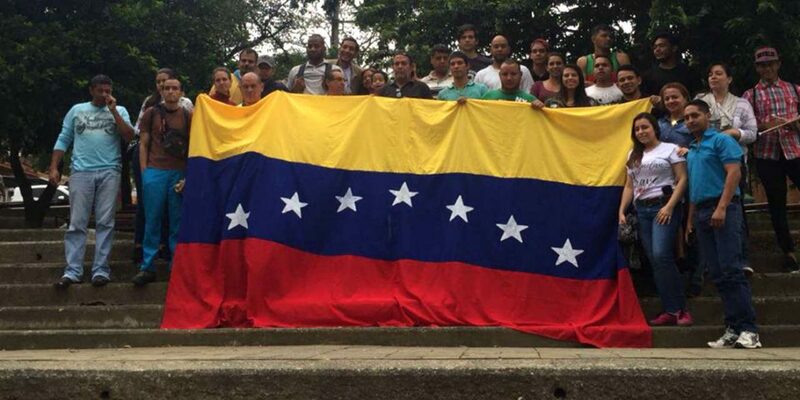 Venezuelans in Colombia are organizing themselves to help newly arriving compatriots who fled the economic crisis back home and arrive in a country where government support is elusive. Thousands of Venezuelans choose to migrate to Colombia each day in search of work and a better life in one of the neighboring country’s cities. Authorities, however, are overwhelmed by the mass exodus, leaving much of the first aid to Venezuelan citizens who try to help their compatriots as well as they can. Venezuelans use social media to share information about migration and the cost of the journey it takes to arrive in a Colombian city. These groups on Facebook and Whatsapp are flooded with people’s stories, good and bad. “The principal concern for Venezuelans when they arrive in Colombia is to regularize their migratory status,” Toni Vitola of the Colony of Venezuelans in Colombia told Colombia Reports. His organization was started by a group of established professionals and entrepreneurs who want to help struggling migrants. Migrants without a passport cannot access work visas or the temporary visa that allow them to formally work or access health care in the country. The foundation holds assemblies in parks across Medellin to teach migrants how to legalize their migratory status, so new migrants learn from people who’ve done it right. “There’s a lot of irresponsible people who say ‘come here, there’s lots of work,’ but it’s more complicated than that,” said Wilander Peñaloza, a founder and adviser to the foundation. The foundation provides medical, pharmaceutical and legal services by Venezuelan professionals who want to help migrants. The foundation also holds free community sporting and theater events in Medellin. “Bogota Helps You” helps migrants in the capital with migration counseling, clothing and food donations, health services and labor information through volunteer efforts. Groups like these have popped up in many Colombian cities. Emprecolven in Medellin helps migrants who want to start businesses in the city and professionals to find work. The blog “Me voy a Colombia” writes about common themes Venezuelans should consider before coming to Colombia like migratory legal procedures, employment, education, and renting accommodation, among general expectations for struggles they might encounter. Despite their efforts, many Venezuelans continue to come illegally and remain on their own to survive by themselves. Many Venezuelans cannot wait the long months it takes to receive a passport or to have documents like diplomas certified by the government in Venezuela. They migrate illegally out of desperation. While migrant refugees in Europe or Canada are helped with government-funded services to integrate them into society, outside the special permit to stay and a shelter at the border in Cucuta, Venezuelans are largely on their own in Colombia. “The government hasn’t helped me with even a loaf of bread,” Elisabeth said. In the five months she’s been in Medellin, from the work she’s found selling jewelry, fast food, and candy, sometimes employers only want to pay her $5 (COP15,000) per day, half Colombia’s minimum wage. Migrants will continue to come to Colombia, legally and illegally, as Venezuela’s inflation is slated to worsen and food scarcity is everywhere. Analysts believe the number of Venezuelans in Colombia will become more than 1 million in 2018. “Today Colombia has strong political problems…we’re trying to not be another problem,” Peñaloza said about his foundation’s efforts to integrate Venezuelans into Colombian society. Elisabeth said she’s trying to not let her hopes get down despite her struggles.